This patient was formely admitted for intermittent bowel obstruction which resolved spontaneously. As a part of the diagnostic workup, small irrigography with iodine contrast was requested to rule out stenosis. The contrast reached lineal flexure, but further up a stenosis was outlined only by insufflated air and it was not recognized. 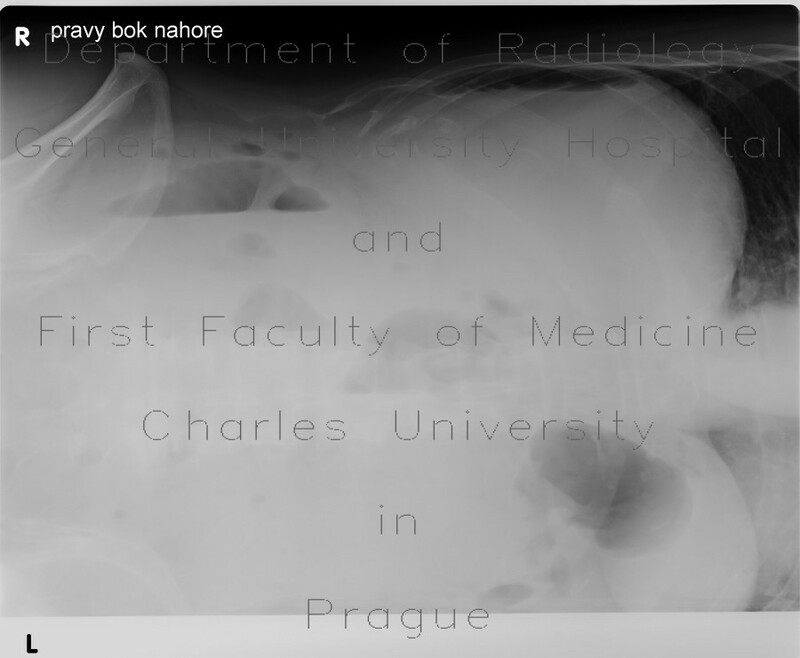 The patient shortly returned with pneumoperitoneum and ascites, shown on abdominal x-ray and ultrasound. Apart from pneumoperitoneum and ileus, the requested CT showed signs of diffuse peritonitis and a stenosing tumor of the transverse colon.